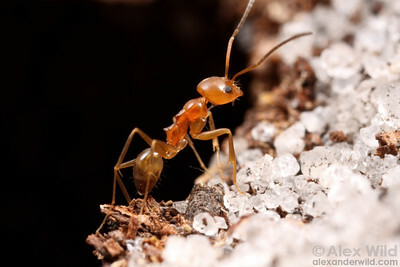 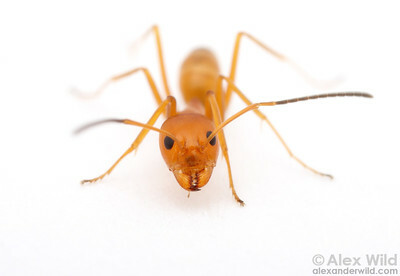 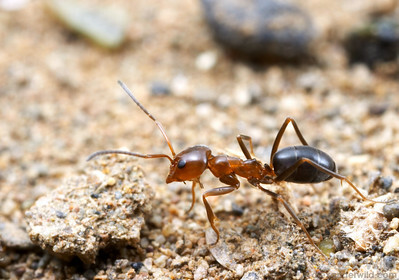 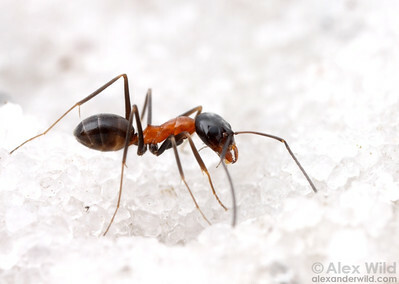 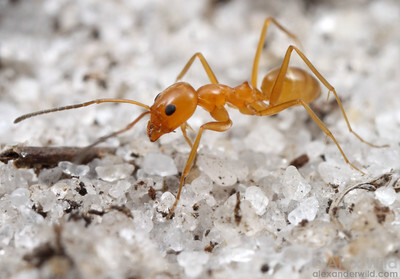 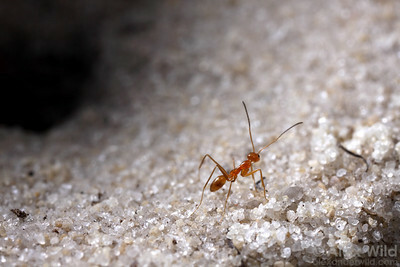 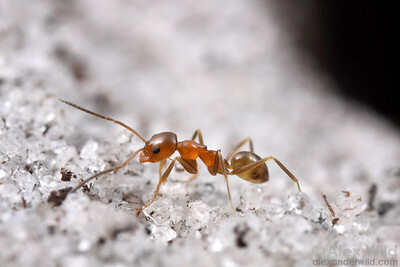 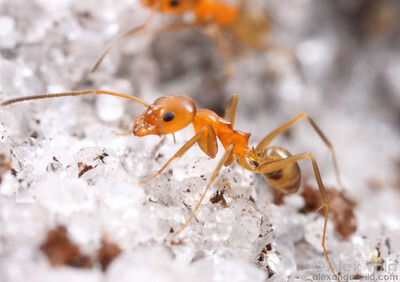 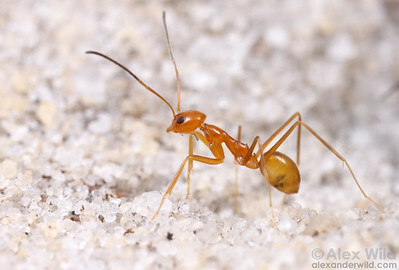 is a soil-nesting dolichoderine ant abundant in the warmer climates of the New World, particularly in open and arid habitats. 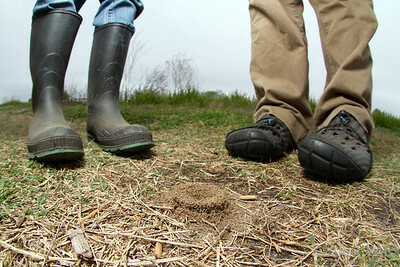 Nests of these active, alert insects are usually marked by a characteristic volcano-shaped nest entrance, while the ants themselves can be recognized by a characteristic upward-pointing tooth on the propodeum. 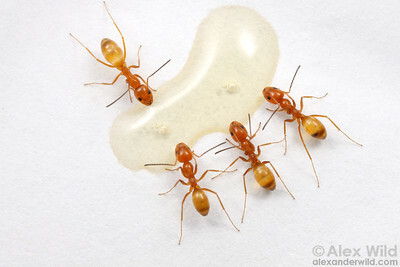 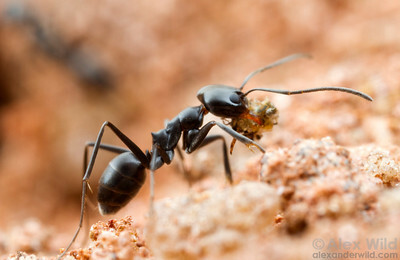 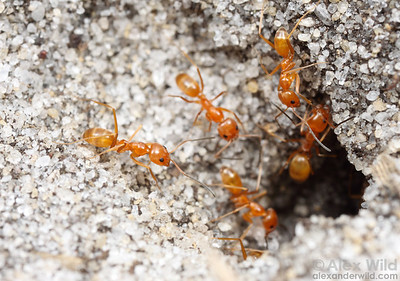 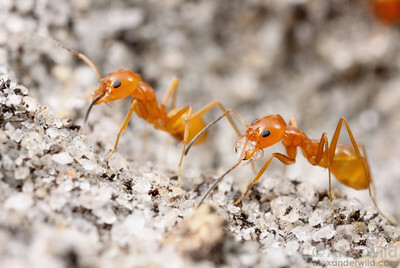 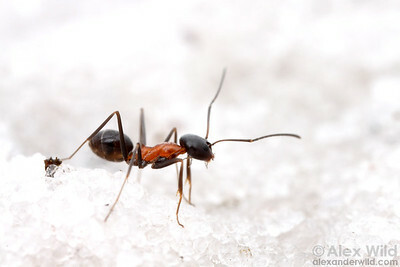 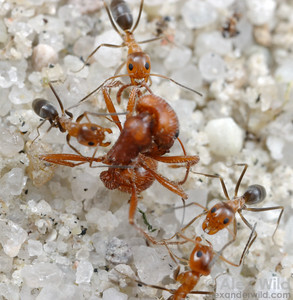 Dorymyrmex bicolor workers scavenge the carcass of a harvester ant. 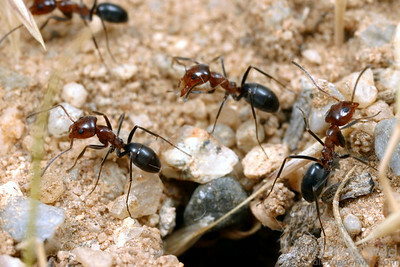 Willcox, Arizona, USA. 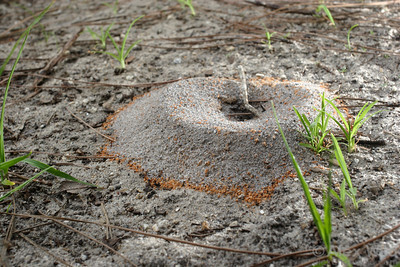 A nest of cone ants, Dorymyrmex bureni, showing the characterstic circular mound of excavated soil. 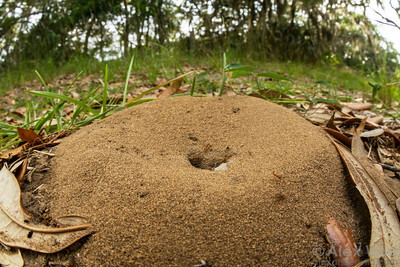 Sapelo Island, Georgia, USA.